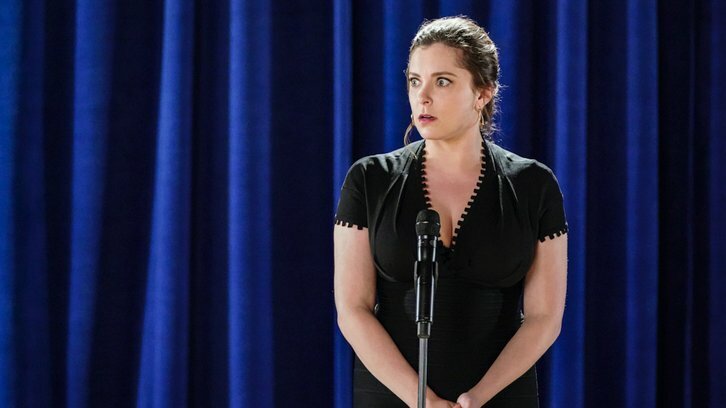 TOVAH FELDSHUH GUEST STARS — Rebecca (Rachel Bloom) takes a trip to visit her mother (guest star Tovah Feldshuh) with intentions to tell Naomi about her new career path. Josh (Vincent Rodriguez III) housesits for Rebecca and discovers being alone is harder than it seems, while Nathaniel (Scott Michael Foster) helps one of Paula’s (Donna Lynne Champlin) clients in an effort to do something good. Pete Gardner, Gabrielle Ruiz and Vella Lovell also star. Aline Brosh McKenna wrote the episode, directed by Kabir Akhtar (#407). Original airdate 11/30/2018.